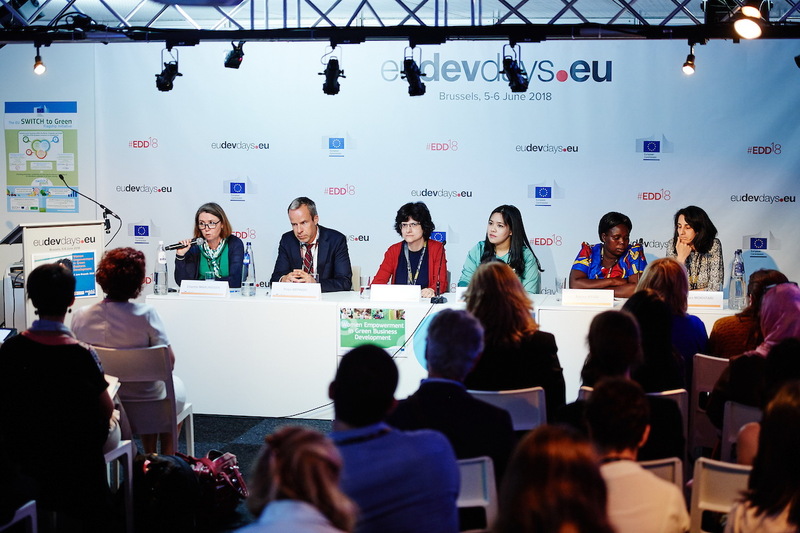 The project lab entitled «Women Empowerment in Green Business Development» presented stories of women entrepreneurs from around the world – agents of change driving the green economy transition and creating jobs. It built on the experience of the SWITCH programmes in Asia, Africa and the Mediterranean and the 10-YFP Sustainable Lifestyles Education (SLE) Programme, in developing partnerships with the private sector to shift behaviour and practice, towards sustainable consumption and production patterns. The lab generated a debate on capacitating women as local business leaders, with a variety of roles, ranging from being enablers of new eco-entrepreneurship to providing new trends in sustainable consumption. The session also focused on the need for policy support to scale-up best practices and further support women as promoters of green entrepreneurship. The SLE programme was represented by the Stockholm Environment Institute (SEI), partner of the One Planet Network – the network of the 10 Year Framework of Programmes on Sustainable Consumption and Production.